Cartier delivered a strong and decisive message, to press and collectors alike, at SIHH this year by devoting an entire exhibition hall to herald the return of the Panthère. 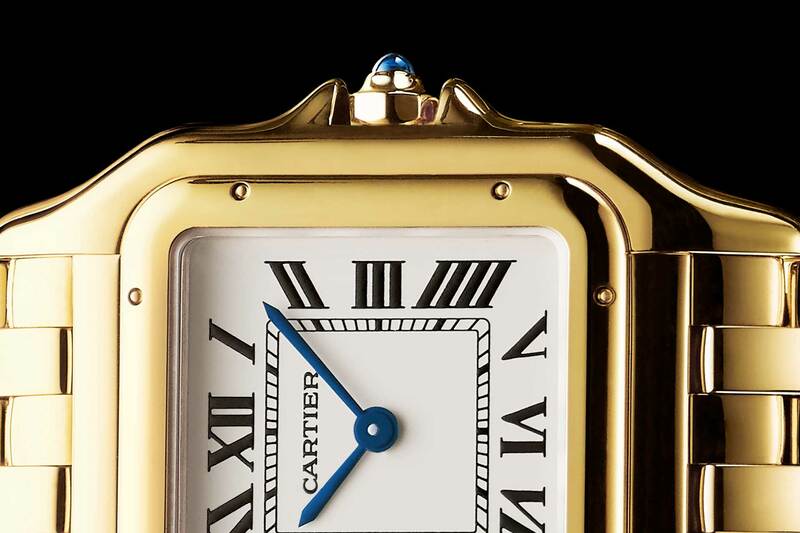 Begs the question, why has Cartier placed such weight on a women’s quartz time piece? Truth be told, the heritage of the Panthère de Cartier is not just that of a ladies’ model with a quartz caliber. Its story goes as far back to the very first Louis Cartier designs, a time in which quartz movements were not even a matter of reality. But first, a trip down memory lane and into the year 1983, when the Panthère was first introduced. The Panthère was, in fact, a watch created from scratch. When it was designed, it was always intended to be on a bracelet as a daily jewelry item rather than a severe timepiece. A closer inspection of the shape of the early Panthère’s case, its lunette with the little screws, reveals, perhaps, a strong resemblance to the 1904 Santos Dumont, which was Cartier’s first wristwatch. The crown guards, which protect the sapphire set crown, were added to give the watch a sportier appeal, since the Panthère, contrary to the Santos Dumont, is water resistant to 30m. Its character of hardiness was further buoyed by the solid gold bracelet that was created for the watch, which incidentally was one of the best bracelets Cartier had created until that point. The bracelet took inspiration from very early collections within the maison’s watchmaking savoir faire. This isn’t publicized officially but the bracelet-type of the Panthère is sometimes referred to as the ‘Figaro’ bracelet. The Panthère fit the 80s tone of design quite seamlessly but at the same time because it seemed to draw on so much of Cartier’s heritage — from the very first Louis Cartier sketches to the excellent bracelet that was the result of the maison’s expertise in jewelry making — the timepiece reflected Cartier without being a design that would only be relevant in its own time. Thereafter, and understandably, the watch became an immensely popular object of desire for many of Cartier’s admirers. 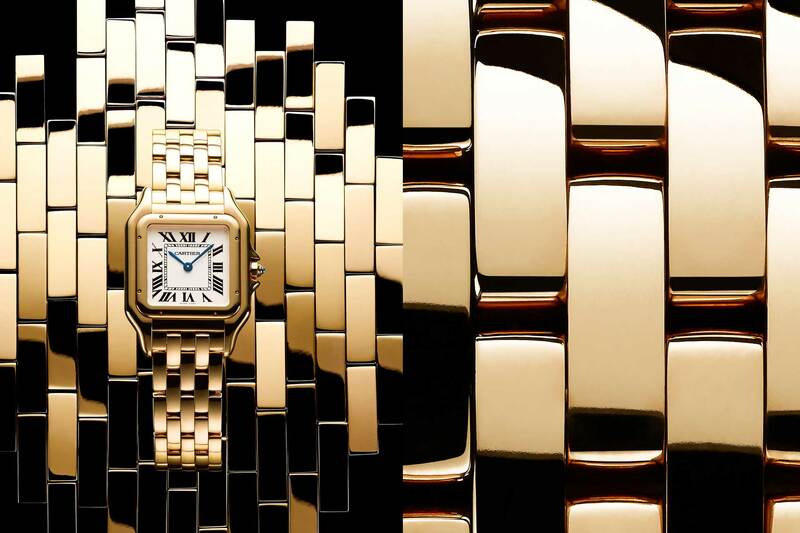 It went on to become one of the bestselling 18k gold ladies’ timepieces on a bracelet not long after its introduction. It proved to be an easy and versatile timepiece, which did not shy away from any occasion. 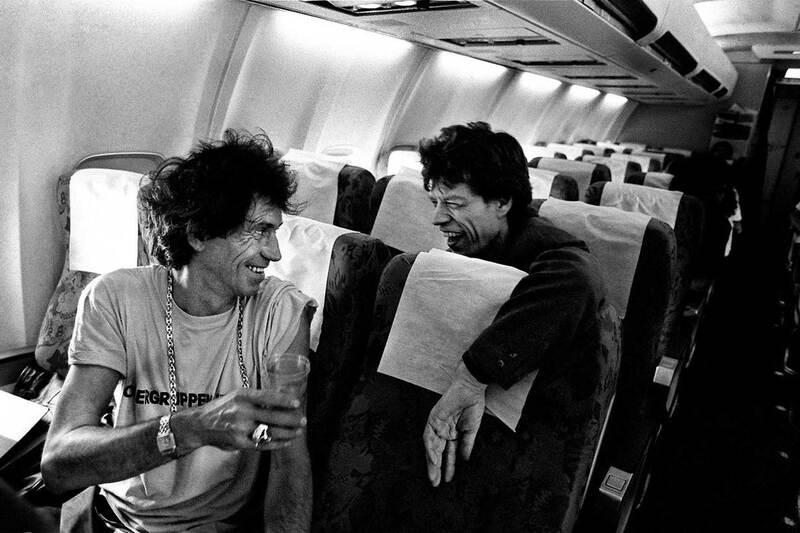 From daily routines to the grandest of affairs, it always lent its wearer a chic outlook. Often times, it could be seen on women’s wrists paired with Cartier’s Juste un Clou bracelet, which immediately elevated the watch to a higher level of feminine cool. 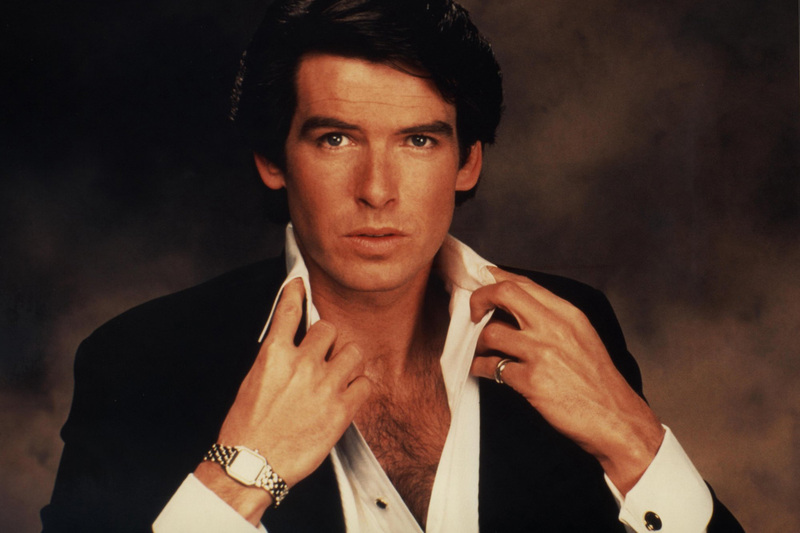 Curiously, it’s appeal as a choice timepiece for icons in pop culture at the time, wasn’t simply restricted to female stars such as Grace Jones and Françoise Hardy. But even male celebrities — the likes of rock god Keith Richards and heart throb Pierce Brosnan — have been spotted wearing, later introduced male versions of the Panethère. In 1991, an all steel model was introduced, which helped the popularity of the model even more. The decision was, however made in 2004, to retire the Panthère to make room for the new Santos models. 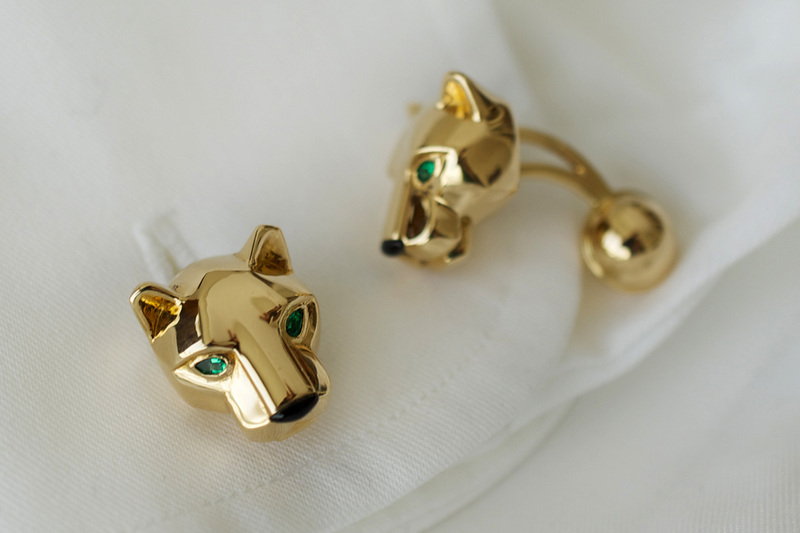 There was a glimmer of hope that the Panthère might have made a comeback, in 2013, when Cartier decided to bring back the Panthère cufflinks of the 80s. Thankfully the wait wasn’t too long, with Cartier bringing back the Panthère, in 2017, in two sizes — small and medium — particularly targeted towards women. 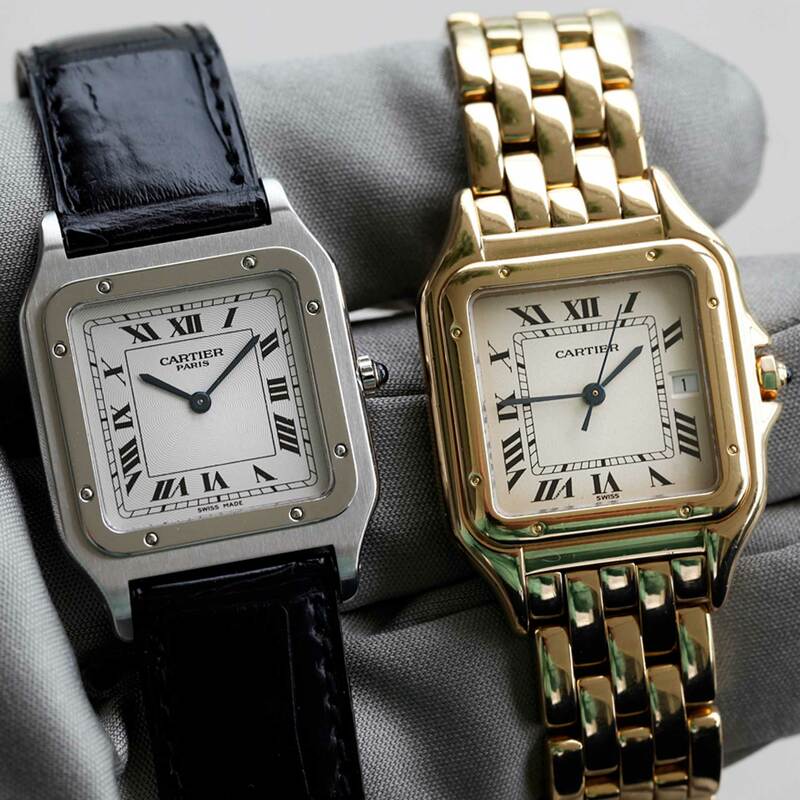 Although, the new version looks identical to the 80s original, where not much was to complain about, Cartier has made the 2017 Panthère even more feminine, by leaving out the date window and the sweep seconds, which the medium and large models used to have. Designers at Cartier have also revised the overall construction of the bracelet to so that it might be able to keep up with the demands of the twenty-first century women’s lives. 14 new versions were shown at SIHH 2017, including full gold diamond set versions to more reserved stainless steel models. These will all be available in the two mentioned sizes from June 2017 at all Cartier boutiques.